Do starched shirts make you think of singing cowboys? Singing cowboys were nearly as popular with radio advertisers as they were with producers of B-grade Western movies, as we have seen with shows like Ten-Four-Two Ranch, The Light Crust Doughboys, Eddie Arnold's Checkerboard Fun Fest, Mother's Best Flour Show with Hank Williams Sr., and numerous recruiting programs from the Navy and Air Force. Laundry products and singing cowboys seem like a marketing stretch, but it worked for Faultless Starch Time. The company was founded in 1886 when Major Thomas Beaham bought a coffee, tea, and spice seller in Kansas City, Missouri. Beaham was eager to expand his business and his first new product was a dry white starch to be used in laundry. Not only does starch help a garment to remain wrinkle free and hold creases after ironing, it helps clothes stay cleaner longer because dirt clings to the starch rather than the fibers in the material. Beaham's Faultless Starch was an improvement over other products because it did not require a long boiling process before use, it was often added to the rinse before ironing, starching could even be done in the washing machine (when they finally came on the market). One of Faultless's earliest marketing efforts was the "Faultless Starch Book" series, primers with titles like The ABC Book, Little Red Riding Hood, Mother Goose Rhymes, and The Ant and the Grasshopper, which were given away to housewives from the 1890s until the 1930s. When Faultless began using radio marketing in 1952, they engaged the services of Bob Atcher, a Kentucky native who was taught to play violin and guitar by his champion fiddle player father. His first radio appearance was on WHAS Louisville, and he was soon heard on stations around the South and Midwest regions. He won a steady gig on WBBM Chicago in 1939 and was heard nationally over CBS. He also recorded for Okeh Records and Columbia, both subsidiaries of CBS. 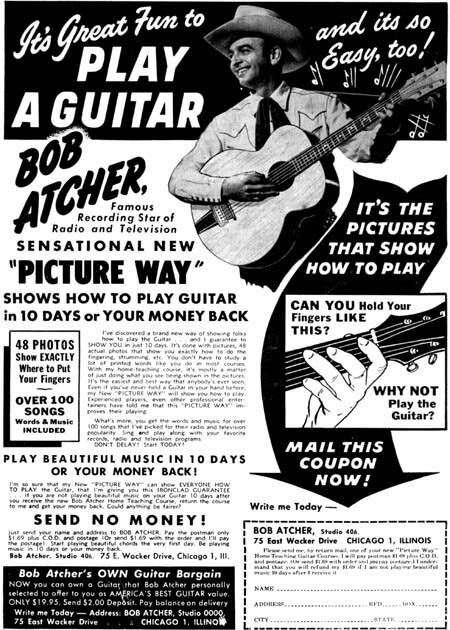 Atcher joined the Army in 1942, and continued to record hits after his discharge in 1946, including "Why Don't You Haul Off and Love Me" and "I Must Have Been Wrong". His popularity continued to grow to the point that he became a featured performer on National Barn Dance and moved over to WLS Chicago, which would be the origination of Faultless Starch Time. The program was part of NBC's Sunday lineup. The quarter-hour program featured traditional and Country songs by Bob Atcher and the Hometowners with comic patter between Atcher and Mary Jane Johnson (who also sang) and sponsor messages featuring Mary Jane and announcer Franklin Ferguson. Bob Atcher was also seen as the host of Meadow Gold Ranch, a children's show on WENR-TV, during the same time period. 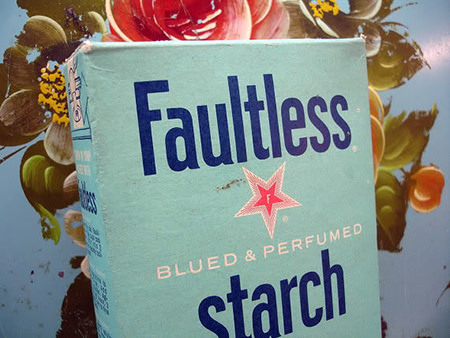 Be the first to comment on "Faultless Starch Time"